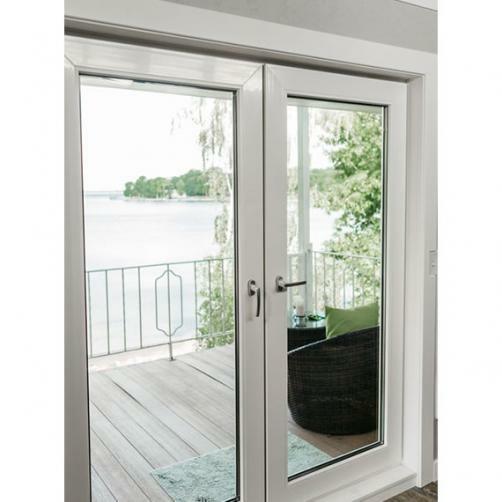 With its European engineering, the Euro Series Patio Door is among the highest performing doors on the market today, providing strength, durability and worry-free maintenance. There’s no better way to make an entrance than with one of our residential Euro swing patio doors. The Euro series of swinging patio doors from BSSW and MK offer the look and performance of a fixed window unit. One turn of the handle allows the door sash to tilt in from the top, providing ventilation and security. An additional turn allows for complete inswing operation. The Euro Series 12 point locking system and integral compression seal technology provide the ultimate in French door looks and efficiency. A sliding patio door not only fills the room with light, it provides an unobstructed view of the outside world. The classic Minnkota sliding patio door is the perfect alternative when swinging patio doors aren’t an option. The sliding patio door has classic lines that maximize glass size to offer homeowners an open, naturally lit environment.